This is the museum’s first post for 2019, and it’s a really exciting one. 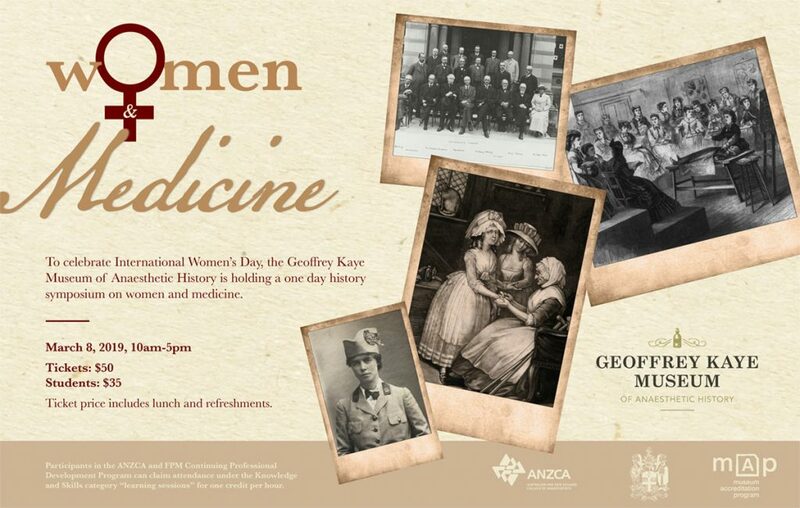 We’re going to kick off this year with a full-day history symposium about women and medicine on International Women’s Day (8 March). It’s a pretty broad theme and, because of that, we’ve got a broad range of presenters. Associate Professor Louella McCarthy from University of Wollongong, discussing the context in which early women doctors were working. As it gets closer to the day, we’ll be announcing more speakers and presenting a full program, with lots of room for Q&A. So stay tuned. It’s going to be a jam packed day, with incredible speakers introducing us to some really interesting moments in history and exploring the roles women had. The symposium, titled simply Women and Medicine is open for anyone to attend and, while I may be a little bias, will be of as much interest to people who don’t come from a medical or medical history background, as it will be to people who do. You are going to want to book in quickly for this, and you can do that through our online registration system. Tickets are $50, but only $35 for students. Tickets include lunch and refreshments throughout the day. This is something you will want to be kept up to date on, particularly as we start to roll out more of the names and topics of presenters. Keeping up to date is always easier when you’re connected. So, subscribe to the blog, follow the museum on Twitter and follow ANZCA on Facebook. 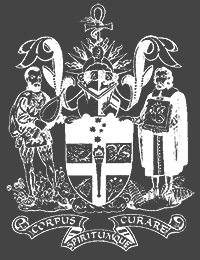 If you haven’t already, check out the Australian and New Zealand Society for the History of Medicine, and consider becoming a member. The same goes for Museums Australia (although soon to change its name to Australian Museums and Galleries Association). We’ll be spreading the news far and wide, and looking forward to seeing lots of people on the day.